Sam McIntosh, the editor of Stab Magazine, came on this trip with us and brought these flares with this shot in mind. 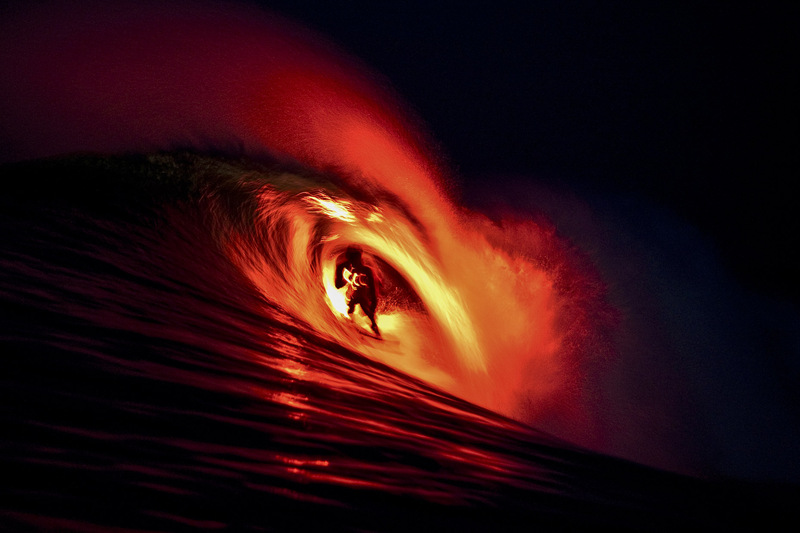 The flares were strapped to the back of the board while Bruce Irons was towed in by a jet ski. It was shot at 4:30am out of a boat with a 300mm lens. It's pretty cool having breakfast at 6 am knowing you've already finished the days work.